That stack of papers you sign at closing can be overwhelming. Chances are that you aren’t even sure what you have signed at the end of it. One of the many items you may see when you buy a house is a deed of trust. This deed is connected to the mortgage loan someone is taking to buy your home, so as a seller, it won’t be in your closing paperwork. Even if you have a trust deed in place when you sell the house, you’ll pay off the balance and the deed of trust will be invalidated, just as a mortgage would be taken care of during a home sale. 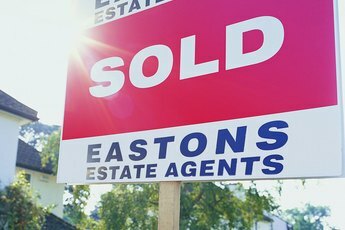 The buyer signs a trust deed in states where those are the norm. The seller may have signed a trust deed upon buying the house, but selling the house should sever that debt. Like a mortgage, a deed of trust is a document specific to the person buying a house, not the person selling it. If the seller had a mortgage on the home, the deed of trust or mortgage would have been signed when he closed on the house. 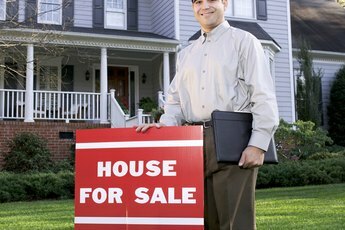 By selling the house, the seller is closing out that mortgage, assuming the seller has the money to finalize things. All of this is coordinated by the closing team. If you aren’t familiar with the term "deed of trust," it could simply be that it isn’t used in your state. In some areas, deeds of trust are used in the place of a mortgage. It’s a contractual agreement between the borrower and the lender providing the loan. With a mortgage, a lien is created against the property, which gives the lender the option of seizing the home and selling it if the borrower defaults on the loan. Unlike a mortgage, a deed of trust places the title in the hands of a third party. The deed of trust acts as security for a promissory note, which is also placed on the property as long as the loan is active. Part of researching the trust deed meaning is determining whether you have a deed of trust or a mortgage. If you’re in Alaska, California, Colorado, Washington, D.C., Georgia, Hawaii, Idaho, Maine, Massachusetts, Minnesota, Mississippi, Missouri, Nebraska, Nevada, New Hampshire, New Mexico, North Carolina, Oregon, Rhode Island, Tennessee, Texas, Utah, Virginia, Washington, West Virginia or Wyoming, only deeds of trust are allowed. In Alabama, Arizona, Arkansas, Illinois, Kentucky, Maryland, Michigan, Montana or South Dakota, you can have either a mortgage or a deed of trust. In states not mentioned, a mortgage is the only allowed option. If you live in one of the states where you can have either, you may be interested in finding out which you have. Tracking down your copy of your home’s closing paperwork is the easiest way. You’ll find both a promissory note and a deed of trust. If you can’t locate the documents you need, you can also check with your county since the deed will be recorded there. When you’re looking into the trust deed meaning as a seller, what probably concerns you most is what happens when you pay off your loan in full. If you’re in an area where mortgages are the standard, you’ll get a release of mortgage from the lender. If it’s instead a deed of trust, you’ll receive a release deed after payoff. This releases the title hold and puts the title back in your control. However, as with a mortgage, this release deed isn’t always recorded. It’s important that homeowners make sure the temporary control of the title has been returned back to you if you pay your home off. If you’ve sold your home, though, that title transfers to the buyer, which means you’ll have to resolve things with the title company completely. If you’ve made money on your home sale, you should be able to use that money to pay off the remainder of your mortgage and remove yourself from all obligations linked to the original trust deed and title. When you sell your house, you’ll ideally make money on the deal. However, there are instances where you may sell at a loss if, say, you have to move unexpectedly soon after buying or if the housing market crashes. 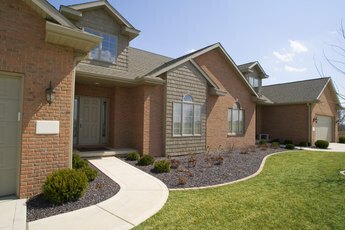 This is known as a short sale, and it makes it tough to meet your trust deed requirements for payoff. There are two parts to a loan for a home: the deed of trust and the promissory note. If there’s a deed of trust on a property, the lender can sell the property and pay off the loan. Whether your loan falls under the mortgage or deed of trust definition, you’ll need to get approval from the lender before you sell your home for less than you owe. To sell it for less, the lender must release that deed of trust, which means you’ll have to come to some type of agreement. Your lender has the legal right to collect the amount you owe on the loan regardless of how much you get from the buyer. In some cases, though, lenders will have you sign a new, unsecured promissory note that will get you started on paying the remainder of the loan back. If your lender doesn’t offer a promissory note, you could find your debt handed over to a collection agency, which can affect your credit. The law governs how the foreclosure process happens in each state. If your state uses deeds of trust, then when you default on your loan, trust deed requirements will require a nonjudicial foreclosure process. This means your lender can foreclose without going to court. In order to do this, though, your deed of trust will need to include a power of sale clause, which states that if you default on your loan, your lender can foreclose without going through the courts. This process is quicker than judicial foreclosures, which means lenders can recoup their investment quicker. Although foreclosure procedures vary from state to state, generally speaking, you’ll receive a notice of foreclosure after a certain time period has passed without payment. 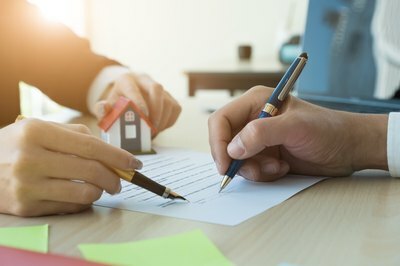 In researching trust deed meaning, you may be concerned about whether a deed of trust differs from a mortgage when it comes to foreclosure, but the process is similar. With a deed of trust, a third party will usually sell the foreclosed property at a foreclosure sale. Each step of the process must be completed following local laws and regulations. Some may look up the deed of trust definition after seeing an announcement of a trust deed sale. This is the sale that happens after a home with a trust deed goes into foreclosure. The owner of that home didn’t pay on the loan as promised and should have been given written notice, as required by law, that a foreclosure was pending. Whether a home has a deed of trust or a mortgage, the process for selling a foreclosed property is governed by local and federal laws. Regardless of trust deed requirements, though, foreclosure proceedings can’t begin unless the borrower is more than 120 days behind on payments. Additionally, lenders want their money, so they’re going to give borrowers at least a small grace period. This means that by the time you see the house in a trust deed sale, it’s likely several months past due. This is good news for you as a homeowner with a deed of trust since it means you’re unlikely to see your home in foreclosure unless you’re well aware that it’s on the horizon. ThinkGlink: Do You Get the Deed After Your Final Mortgage Payment? Nolo: What Is a Power of Sale Foreclosure? Nolo: What Is a Foreclosure Sale?